Google launched its latest tablet Nexus 7, as the tablet created lots of buzz around the world and deliver the purest form of Android operating System on a 7-inch tablet with decent hardware with less and competitive price. The Google Nexus 7 is definitely an upgrade from its predecessor in terms of Hardware and design and up gradation feature of OS makes it more desirable. It has a light weight tablet with a semi rubber back panel makes it easy to grip in hand, the tablet is thinner and lighter from its pre-decessor. The back panel of the tablet is made of polycarbonate material, though is a bit susceptible to smudges. The two designs which are appreciable are the stereo speakers that are placed either end of the tablet which gives better sound and secondly the notification LED below the screen. 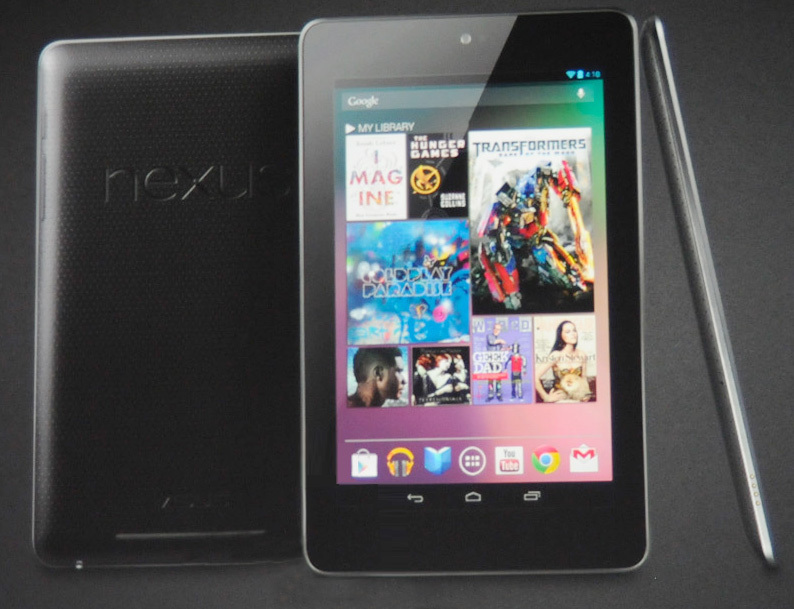 Google Nexus 7 is provided with 7 inch screen with resolution of 1920 X 1200 pixels and of Pixel density of 323ppi. The tablet is loaded with 1.5GHz Snapdragon S4 Pro quad-core Krait processor with 2 GB of RAM and if we talk about the media side than it is provided with only two varients that is 16GB and 32GB with no external card slot for expansion. On the side of networking and connection than it is powered with dual band Wi-Fi, GPS, NFC and Qi wireless charging(Customer need to pay extra for the Qi compatible wireless charger). It has 5MP rear camera and 1.2MP front facing camera. It is a very good choice for tablet geeks as it offers super tablet with latest Android Os that is Android 4.2 Jelly Bean and which can also be upgradable to Kit-Kat 4.2. This latest tablet comes with the competitive price of 18,000 to 20,000INR which gives great competition to the other tablets such as for I-Pad, Samsung Galaxy Tab and other market tablets.